Does A Simple, Minimalist Approach Work With Health Care? 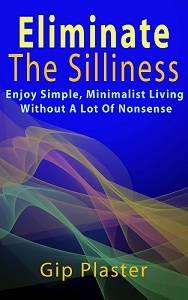 For people like me who take a simple, minimalist approach to life, a few silly systems stand in the way of the truly blissful, amazingly simple life we deserve. A minimalist approach to health care could either be the smartest decision you ever make or one that leads a shortened life and a needlessly painful existence. In general, the biggest obstacles to a truly simple life are silly systems — that is, corporations, organizations and other entities that actually enjoy their complex regulations, obscure rules and hopelessly antiquated procedures. Cell phone companies and local government offices have perfected silliness and even heightened it to the level of stupidity, but health care workers also seem to enjoy complicating lives and annoying people. Endless forms and uncaring staff are the two most obvious symptoms of the failed American health care system, but this post isn’t about systems that don’t work, it’s about our approach to them. I’m not a doctor and I don’t have any sort of medical training. That’s why I don’t offer medical advice. But I do have a lot of questions. Here’s one: Since curing your illness isn’t in the financial interest of your doctor, does she prolong your illness or call you in for unneeded follow-up visit so she can get paid for additional services? And here’s another: With so many competent sources of advice available online, does a doctor really know anything about your problem — just one of hundreds the doctor must juggle — that an educated person who is singularly focused on curing himself can’t learn in a few hours? And here’s one more: How have humans survived as a species for so long if we are as frail as our doctors encourage us to be? Holistic medicine and other alternative therapies may be the answer to many medical issues that modern science can’t grasp, but what about urgent health issues? A true minimalist might wait and see if the problem goes away. A simple living expert might suggest using an inexpensive drugstore nurse practitioner service or a telephone ask-a-nurse service as a first line of attack rather than delving deeply into the medical world by making an appointment with a doctor. A natural living specialist could suggest you cleanse your energy pathway and focus on healing light. I don’t go to doctors, and I’m prepared to accept the consequences of that choice. However, when I collapsed a few years ago from a virus that dehydrated me within one hour to the point that I couldn’t sit up, I called for paramedics and happily accepted IV fluids and an anti-diarrheal injection. A few years before that when I was in a roll-over van accident, I was grateful to the intern who spent most of an hour picking glass pieces out of my arm and for the doctor who closed up the injury. For pressing, critical issues, I’m a fan of any person, company or service that can help me. Otherwise, I’d rather not subject myself to prods and pokes aimed at finding something wrong with me. How do you feel about it? In many countries, including the United States, doctors live in fear of malpractice lawsuits and angry patients — a fear that costs many of us their honest opinions because they must hide them under a blanket of legal statements and omissions. In other words, if a doctor happens to be an experts on your illness or injury, her fear may keep her from telling you what her experience and education has shown her. I wonder what medical professionals would say if they could speak freely — and I’ll wonder more about that in Friday’s post. For now, how do you combine a simple, minimalist life with a health care system that works at cross purposes when it will do anything at all? How do find money for medical treatment if you don’t have a job with benefits? I know this all works differently in other countries, but finding a viable, minimalist approach to health care must be important outside the U.S., too. Please offer your comments, then join me Friday for some further wonderings about health care. Interesting discussion. I had a girlfriend once that was a qualified nurse practitioner, which for those that don’t know is basically one rank below doctor. They can issue subscriptions and whatnot: once we witnessed a car wreck, so bad it was obvious there were injuries. She was driving, and refused to stop to render aid, citing the idea that such an action could lead to a lawsuit. I’ve never been so unimpressed with either a system or a human being that would behave in such a way. There are actually laws now in a lot of places that specifically protect doctors, etc. from lawsuits when they’re rendering aid in an emergency circumstance. I think that’s a good step in the right direction, myself! That’s true. It’s a bit sad, though, that we need laws to reverse the negative impact of other laws! wow this is a prime example of what’s wrong with our healthcare AND laws in this country. i sincerely hope robert is right that it has changed for the better on this issue at least. sabrutat, i understand that your first thought would be disgust at your ex-girlfriend, however i’m sure that she had to have had quite the internal conflict about this. where she was probably hammered in school about the risk of helping out in a situation, she was most likely essentially led to truly believe it was not an option for her. of course i have no way of knowing for sure, just a thought…. I’m going to liken this question to parenting. Yes, you can learn a lot about parenting online. Do this, not that. Do this other thing over here, not that thing over there. But even the most concerned of new parents usually don’t hold a candle to a lady with seven grandchildren. There’s some experience there that just doesn’t translate. There’s also the issue of tests. Different diseases might share some commonality in symptoms, and can only be differentiated by having appropriate tests done. Even an educated person can’t know certain things without x-rays, blood cultures, etc. etc. For example, this last week I had a sore throat bad enough that I thought it might’ve been strep. I went in and had them do the culture, and it came back negative – but I wouldn’t have known had I not had the test done. The last issue I’ll touch on (and then I’ll shut up for now 🙂 ) is medication. There’s a large contingent of people who will take antibiotics for *EVERYTHING*. It’s bad enough that hospitals are starting to post signs talking about how they don’t prescribe antibiotics for conditions where they won’t be helpful, and then listing off many of those conditions. But people want antibiotics. Having distribution of those regulated through a system that (in theory, anyway) knows when they’re needed and when they’re not may fall into the category of a benefit to society in general. Just some thoughts. I definitely agree though that much about the system is broken, possibly irrevocably – I’m just not sure what the solution really is. I look forward to your thoughts on Friday! Yes, medications and testing are two major issues. Testing is huge profit source for doctors, but there are accurate tests for some conditions that can take away a lot of unnecessary worrying — or focus attention on the right treatment. Regulating some medications keeps them from being ineffectively used, but it also contributes to keeping the price high. Thanks for joining the conversation, Katie. I don’t know how close I’ve come to dying, but I’ve certainly been in trouble a few times. You’re right. Focusing on health rather than disease is the optimum situation. I’m already overflowing with post ideas on this topic. So many issues and situations come to mind. We’ll see how things go after Friday. We could discuss this issue full time, I think. this is an interesting topic gip, i’m glad you brought it up because i am pretty passionate myself about holistic treatments and trying to get to the root of our health issues as opposed to treating everything with drugs and calling it a day. however, there are times when you do need the aid of a doctor or drugs (as others who have already posted before me have outlined). i go to both western and eastern practitioners, but i believe that the best way to get the right treatments for any type of issue, whether it be small (a cold) or large (surgery or cancer), i think that we all need to take a more active part in our treatments. all to often western medicine doctors DO want to keep you coming back, so some of them (NOT ALL of them are this deceitful) will either prolong the correct diagnosis, resulting in more tests or they will also UNDERdiagnose you if your insurance doesn’t cover what is needed. that is an unfortunate circumstance of our insurance policies and medical malpractice lawsuits. this actually happened to my fiance a few years ago. he broke his collar bone and did not have insurance. luckily he qualified for state insurance for immediate coverage and physical therapy. but also because of this limited coverage, the doctors said he did not need surgery to fix the broken bone. now his right shoulder is clearly shorter than his left and he still has pain because of it. we need to do the research before our appointments so that we are armed with the knowledge about what is going on inside. and we also need to do the research AFTER our appointments to verify the diagnoses or to discover alternatives. i am not sure if this would have helped my fiance or not but he might have been able to argue his point more and gotten surgery covered had we known more about how his shoulder would heal. I think you’re on the right track, Marianne. A combination of western and other medical traditions seems to work best. I also think we need to see doctors for what they are: consultants, not dictators. Some don’t realize that’s what they are. You can always say no to a doctor’s advice. Some patients don’t realize that. A couple years ago I did a major face plant on asphalt. Among other relatively minor injuries I broke my nose. The emergency room physician ordered x-rays that showed the break was clean–not dislocated. Nevertheless he referred me to an ENT specialist for further evaluation. The ENT offered to re-break my nose, reset it, and put it in a cast during July heat in the Midwest. I could find no logical reason for doing that so declined. When I commented on his disapproval of my decision he actually said, “You are the customer so you get to decide.” But his previous comments basically led me to believe he saw this as an opportunity for me to get a “nose job” at my insurance company’s expense to his benefit. No thanks. When I hit my nose in a fall caused by dehydration from a virus, I decline the x-rays completely. I couldn’t feel anything broken, so I assumed I was okay. I like the idea of doctors having customers rather than patients. The decision is always the patient’s, something people often forget. Since I basically did a one point landing on my nose which promptly swelled immensely the x-rays seemed like a good idea. No one could tell by looking at my face whether or not my nose was straight. The hospital billed my insurance company several hundred dollars for the x-rays but the “negotiated” payment turned out to be one I could have paid from the cash in my pocket. Another interesting view of US medical practices. Yes, these negotiated payments are another weird part of our medical system. And if you’re paying out of pocket, you’re quoted a completely different rate. It should be a simple as chosing the services you’re willing to accept from a price chart. Gena S recently posted Travel Hackers of the World Unite Or how to travel cheap to free this year! I think you have some great advise here. I like the fact that you are open to a holistic approach. I think that many illnesses can be dissolved through medicine other that drugs. Like vitamines and different stretch routines or even changing your diet! I have anemia, to the point where my blood pressure is affected. Doc says to take iron pills. Made me sick and weak and other things I won’t mention. But that’s not a natural thing for your body. I cut out the pills, added things rich in iron like broccoli and liver and spinach. Even chose cereals with higher iron content. Now, I am barely anemic. No problems with passing out or nose bleeds. Now he couldv’e told me about these things but he didn’t and I found out for myself on Google! A good example, Jasmine. You have to be your own advocate. No one else has as much interest in making sure you are well. Hi Gip, I’m with you with holistic, alternative therapies. Coincidentally, I just had one of those Light Touch Therapy and I’m so glad I did it because I can feel the benefit on myself. No drugs so there are no side effects and all that. I just don’t understand why the government don’t treat them equally with the medical system that uses synthetic drugs. I know this post is old – just came across iit while searching for “care avoiders.” I just had an episode with a shoulder injury – discovered the full blown waste in the system. Lots of forms. Primary care doctors who insisted on a visit before they’d make a referral, just so they could charge the insurance company. I think a lot of preventive care is either unnecessary or could be handled by nurses. My specialist for the injured shoulder was very good and didn’t waste time, but the clinic seemed to specialize in forms. However, I have learned that nobody reads forms anyway so now I just scratch through and write, “No problem, I’m healthy!” or just “Stupid question.” Nobody notices. Thanks for commenting, Cathy. I appreciate every comment — even on older posts.